Last night, we saw a video consisting of Kevin Owens teasing his in-ring return to WWE. Only one more month to go until that happens. Nevertheless, it is still not clear as to whether he will be returning to RAW or SmackDown Live. 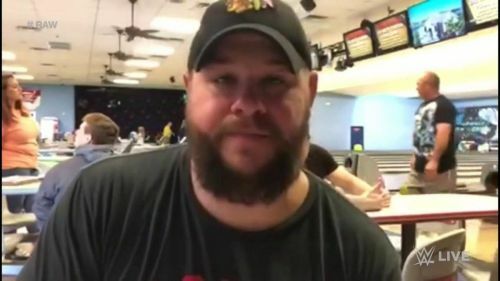 What struck everyone's eye was the homely nature of the video, its grainy appearance as well as the fact that Owens was enjoying with his family at the time. This could very well indicate that Kevin Owens might be returning as a babyface. Will Owens return with Sami Zayn? There are chances of that happening, however, Owens teased a solo return last night, as evidenced by the statement that he could solely execute what other Superstars are doing right now, but better. Do you want Kevin Owens to return as a heel or babyface? Leave your thoughts in the comments section below. Should Owens and Zayn return together, reunited?